Dr. Daniel Whiteman is a family dentist proudly serving patients in Brookline and the greater Boston area. He offers a wide range of dental services, from routine cleaning to the most advanced cosmetic and restorative procedures. Dr. Whiteman has been practicing dentistry for more than 20 years, and is licensed to practice in the U.S., Canada, and Israel. He has extensive experience treating children and special needs patients, and is proud to have an ADA-compliant office. Dr. Whiteman and his friendly staff are committed to patient-oriented care, treating everyone who walks through their doors like family. The practice incorporates state-of-art technology to help reduce discomfort, promote healing, and improve the appearance of patients' smiles. To learn more about the high-end dental procedures we provide in a supremely comfortable environment for you and your loved ones, contact us today. Dr. Whiteman enjoys using his expertise to enhance the health and beauty of his patients' smiles. His years of dental training and experience allow him to confidently use dental innovations in a conservative and safe manner. He works hard to preserve as much of your natural tooth structure as possible, and consults with patients to help them choose the right treatment to meet their oral health and cosmetic goals. 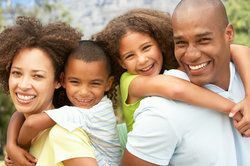 Here at Whiteman Dental, we know today's professionals and working families have hectic schedules that don't always make it easy to visit the dentist. That is why we are dedicated to making your time with us as convenient and pleasant as possible. Our staff will promptly return calls and work hard to accommodate your schedule. When you visit our practice, you can relax in a home-like environment outfitted with satellite radio, pillows, blankets, hot towelettes, and specially designed dental chairs that contour to your body. We also have Wi-Fi so you can keep up with your email, or browse the web for entertainment. Located near a T-accessible stop, we can be easily reached using public transit. In addition to providing caring and compassionate personal service, our office is uniquely equipped with a full on-site dental lab and the latest dental technology. Our lab and CEREC® technology allows Dr. Whiteman to take precise digital images of your smile that are used to create porcelain dental restorations in the office, often while you wait. Our cutting-edge technology helps us provide highly lifelike restorations that fit in with your natural teeth, so people will only notice your smile, not your dental work. If you need general, restorative, or cosmetic dental care for you or your loved ones, contact us today to schedule an appointment. "My visit was excellent as always!! I never thought I would say this, but I enjoy my visits to my dentist. I have been going to Dr. Whiteman for many years now and when I walk in, it feels like visiting family. Dr. Whiteman has a knack for making even the most complex dental procedures seem easy and completes them with the least amount of discomfort to the patient. What more can one ask for!" - MINAL A.